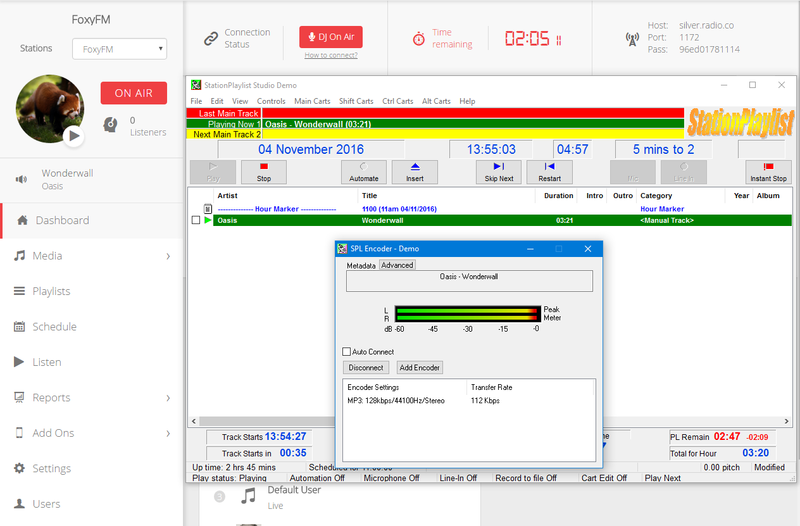 Download StationPlaylist Studio - It works on Windows machines only. Download the latest version of StationPlaylist Studio and run the .exe file. Work through the installer by accepting the terms and conditions and then hit finish when it has finished. After the installer has completed, you will be greeted with another wizard that allows you to customise your install of StationPlaylist Studio. You can customise the install however you like, but you need to ensure that in the Stream Encoding window you set the "Enable the stream encoder in the studio?" option to "Yes". The stream encoder will be enabled and allow you to broadcast to your Radio.co station. After you have finished the wizard, you will be greeted by the StationPlaylist Studio dashboard. In the SPL Encoder window, click "Add Encoder" and then double click the encoder you just created. Enter your station's broadcasting details in here - You can find them in your Radio.co Dashboard. Schedule a live event before you broadcast - Set an event within your station's calendar by following this guide. Hit "Connect" in the SPL Encoder window and StationPlaylist Studio will establish a connection. Hit Play and your tracks will be streamed to your station. Check you're broadcasting within your Radio.co Dashboard - DJ On Air should be enabled and music details displayed.